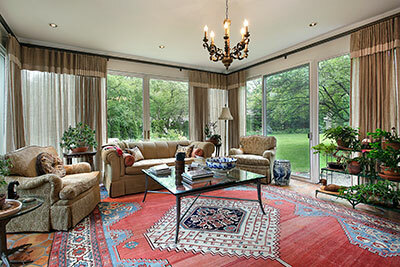 Area rugs are frequently turned to when home owners want to add a unique style to a room. Sometimes, these rugs can fill up empty room: at other times, they're placed on larger carpets to add more designs and colors to a room and make it livelier and more beautiful. 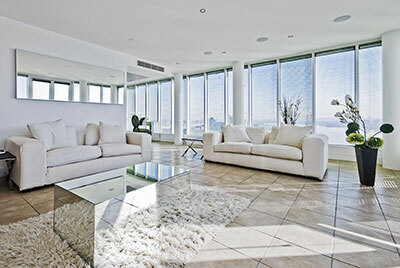 ​No matter their utility, area rugs' fibrous composition invariably leads to them getting damaged over time due to ever-present foot traffic – even a rug serving primarily as decoration will attract no small amount of dust and allergens over time and can also be the victim of accidents. 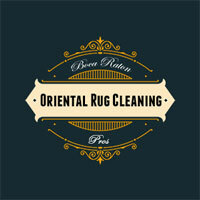 Aside from being cleaners, we're also professional rug repairers who have been stitching carpets up for quite a few years now – this gives us the necessary knowledge and skill to repair your area rug no matter its specifications. One thing that's universally true about area rugs is that they're sensitive and require a lot of care while repairing – this is why a traditional hand-repairing method is used to mend every rug that comes into our care. But even before that, the rug must be checked thoroughly and with full attention to detail – when checking your rug, we'll use an official document to write down facts and figures about the rug and its condition in order to prevent issues later on. After all the inspection, we'll take your area rug to our facility where will start repairing the rug one method at a time, always paying attention to the area rug's overall state. No matter the extent of repairs – from re-stretching to dealing with entire holes – our team is prepared for every situation with an array of professional tools and gear. Also, a specific amount of time is given to the client before we start the work – we don't want to waste your time, so we'll do our best to stick to the schedule. Most often, we'll agree on pricing before getting to work – prices depend on various specific factors, but we're generally able to make an accurate forecast based on pre-existing conditions alone. If you're a long-time customer, you might be eligible for a discount – if not, we're still sure you'll find our prices every bit as affordable. Back to the repairs themselves, know that our team has experience with carpets in all states and conditions which lets them complete even the most difficult jobs without errors and on time. Thanks to all our previous projects, we're well-aware of any difficulties that could arise as we're repairing and will deal with them accordingly and without bothering you with the details – we love a challenge, so you know we're ready to handle your area rug no matter what.